Seasons Greetings from The Friedman Family 2016! Warmest winter greetings and wishes for a wonderful New Year from everyone here at The Wild Bird Store! As this year comes to a close, we have been working hard on our new website and plan to launch it in the first part of December. The web address will be the same - www.wildbirdsonline.com but it will have a streamlined appearance and feature mainly products that we craft, locally made products, and the best commercially made birding products available. Our newsletter archive will still be up as well. At time of launch, our new website will be fully operational but we will be adding to it over the next couple of months. Feel free to call us if you can't find what you're looking for in the meantime! In addition, we're calling all talented photographers and writers in our customer base to submit any images of birds on our feeders that they have captured and/or any bird/bird-feeding related writings that they would be willing to share with us to be featured on our website and in future newsletters. In the spirit of giving The Wild Bird Store family wants to help humans as well as birds this season and in the coming year. 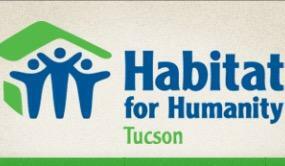 We have decided to join the Tucson Community Food Bank in collecting food for those in need with a Wild Bird Store Food Drive. Any non perishable food donation will earn you a 10% discount on your purchase, whether you're a discount club subscriber or not! 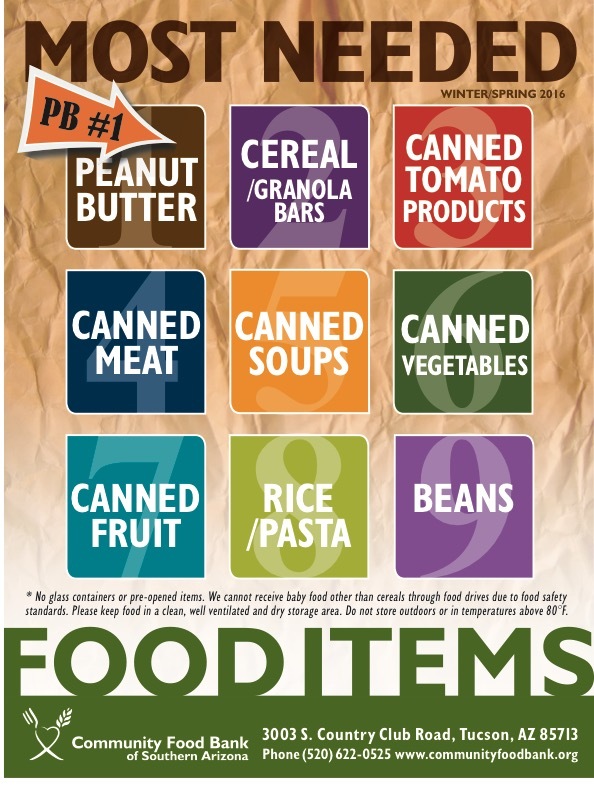 (See photo below for most needed items). In addition, one third of the proceeds from the purchase of any BIRD HOUSE will be donated to Habitat for Humanity at the end of December. The holiday season has kept us super busy the last couple of months and we have been unable to schedule a bird walk. It has also been hard for us to plan a month in advance, at this point in time From now on, we are going to offer free bird walks to our customers. Instead of posting the bird walks in the newsletter, we are going to communicate the times and location through social media public event posts and direct emails. Like us on Facebook at https://www.facebook.com/wildbirdstoretucson, follow us on Instagram: @wildbirdstoretucson ,or keep your eye out for emails from us to keep fully abreast on our bird walks. We are definitely doing a White Water Draw / Wilcox Playa trip either this month or next month! Every December we honor Shani Friedman- mother, grandmother, wife, friend to many and co-founder of The Wild Bird Store. She will always live on in our hearts and her spirit is strong around us at all times. the beauty of each quiet moment"